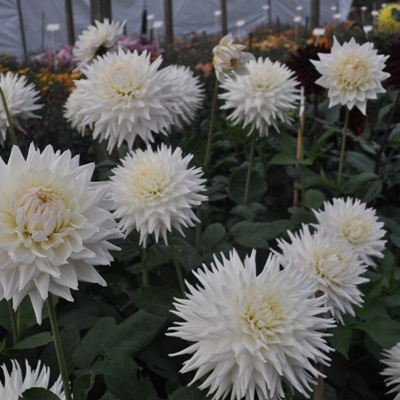 Excellent ivory white and regarded as the best exhibition variety in this classification. 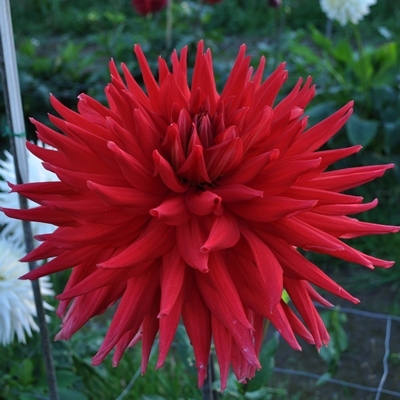 The form of the flowers is superb with blooms having great depth. Regularly features in individual championship exhibits at the major shows. Grow 5 flowering stems per plant for show stopping blooms and disbud down to 4 pairs. 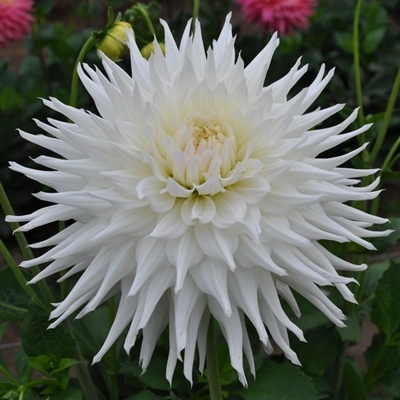 Grows to 1.5m and although it flowers very well outside better quality and cleaner blooms are produced when flowered under covers. 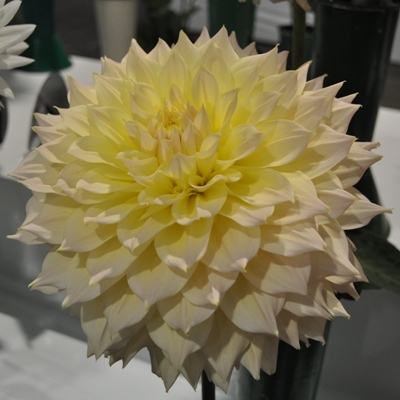 Consistent performer and regularly in the National Dahlia Society’s ” Cream of the Crop”.